With many new pipeline projects stalled, oilpatch producers are increasingly turning to rail to transport their product — resulting in an eight-fold increase in the volume transported on Canada's railways since 2012. With many new pipeline projects stalled and existing ones running at capacity, oilpatch producers are turning increasingly to rail to transport their product — resulting in an eight-fold spike in the volume of oil travelling on Canada's railways since 2012. Proponents of the Trans Mountain pipeline expansion project first pitched the expansion in April 2012, touting the new capacity as a way to get much more Alberta crude to global markets abroad at better prices. Six years on, the project is facing new challenges after a bombshell Federal Court of Appeal decision quashed cabinet approval. Some Indigenous communities and environmental groups have welcomed the legal troubles besetting Trans Mountain — not to mention persistent delays to the Keystone XL and Line 3 projects, and the death of the Energy East and Northern Gateway projects. And yet, despite constrained pipeline capacities, oilpatch output has continued to increase to meet market demand. The new Suncor-run Fort Hills mine will pump out 150,000 more barrels a day on its own. According to data collected by the National Energy Board, the volume of crude-by-rail has increased substantially since April 2012 — when Kinder Morgan, the Trans Mountain expansion's initial backer, pitched the expansion. Back then, rail volume topped out at a relatively paltry 28,517 barrels per day. As of July of this year, it's now over 200,000 barrels a day on Canada's railways. And with oilsands production still expected to grow substantially, according to a forecast by the Canadian Association of Petroleum Producers, crude-by-rail volume is unlikely to drop until producers can put their product in new pipelines. A report prepared by Scotiabank projected an increase to at least 300,000 barrels a day by rail by December 2018. "Given the multitude of challenges currently faced by Canadian energy infrastructure projects, many in the industry increasingly see oil-by-rail as less of a temporary Band-Aid and more as a permanent, flexible component of the supply chain to a Canadian energy sector seemingly unable to push a major pipeline project to the finish line," Rory Johnston, an analyst with Scotiabank Economics, said in his report released Friday. On Thursday, Cenovus Energy, one of the largest producers in Canada, signed a deal to move 100,000 barrels of its own heavy crude oil on Canadian railways to the U.S. Gulf Coast to be refined. The push to get Canadian product south is driven by price: Alberta oil is selling at a steep discount compared to U.S. blends, leaving billions of dollars on the table and out of government coffers. When asked for comment on the rail-by-crude figures, a spokesperson for Natural Resources Minister Amarjeet Sohi didn't address the issue directly — but blamed the former Conservative government for pipeline backlogs. "The Harper Conservatives spent ten years failing to act and cutting corners at every turn. The result – not a single kilometre of pipeline built to overseas markets," Vanessa Adams said in a statement. "We have done more to support the sector and get our resources to market in three years than the Harper Conservatives could deliver in a decade, but we know there is work to do to diversify our oil exports and further support this sector. By approving major projects and creating a review process that is timely and predictable, we are getting the job done." While the dramatic increase in crude-by-rail is good news for shareholders at the country's two largest railways, Canadian National and Canadian Pacific, there are persistent concerns about just how safe transporting large volumes of oil by rail is for communities along the railway lines. "Pipelines have 4.5 times fewer accidents/spills than oil-by-rail and while every oil spill represents a catastrophe, spills from pipelines do not hold a candle to the apocalyptic aftermath of rail accidents," Blair King, an oil spill remediation specialist from Langley, B.C., said in his submission to a panel studying the Trans Mountain expansion. "People like me can clean up the Kalamazoo River, but we can't do anything to restore all those lives lost in Lac-Megantic," he said, citing the 2010 spill of 3.8 million litres of oil into Michigan's Kalamazoo River. U.S. Congressional researchers also found that pipelines, in general, are safer than transporting by rail in a study on the matter. "In general, pipelines could provide safer, less expensive transportation than railroads ... Shipment of oil by rail is, in many cases, an alternative to new pipeline development. This involves tradeoffs in terms of both transportation capacity and safety," the report concluded. "These concerns have been underscored by a series of major incidents involving crude oil transportation by rail, including a catastrophic fire and explosion in Lac Mégantic, Quebec, in July 2013 and a derailment in Casselton, ND, in December 2013 that led to a mass evacuation." 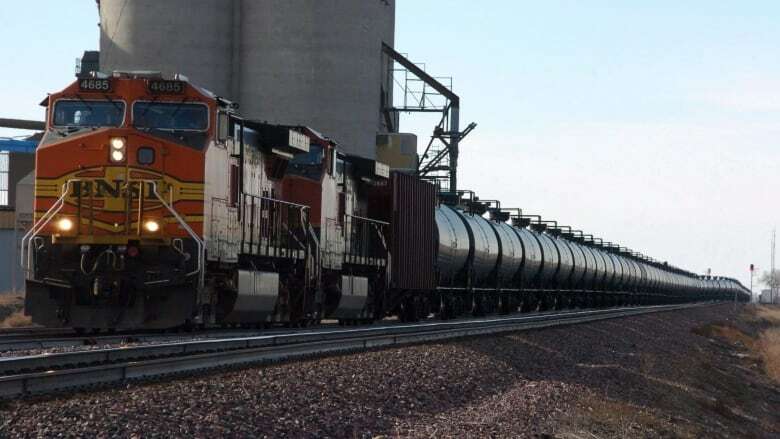 While Canada has not experienced a major derailment of a crude train since 2015, a BNSF Railway freight train carrying crude oil derailed in northwest Iowa in June, sending some 230,000 gallons of oil into a state waterway. These risks have not gone unnoticed by Canada's regulators. Kathy Fox, the chair of the Transportation Safety Board (TSB), said the federal government needs to improve safety standards for rail cars carrying crude, adding it should happen before the current proposed 2025 deadline for introducing those new standards. "We understand that it can't happen all at once. But we'd like to see it sooner," Fox said in an interview with Reuters late last month. She didn't suggest an alternate date. "We do have an ongoing concern that flammable liquids be transported in the most robust tank cars." Canada and the United States have introduced new requirements to more safely transport flammable liquids after a train carrying crude exploded in Lac Mégantic, Que., in July 2013, killing 47 people. 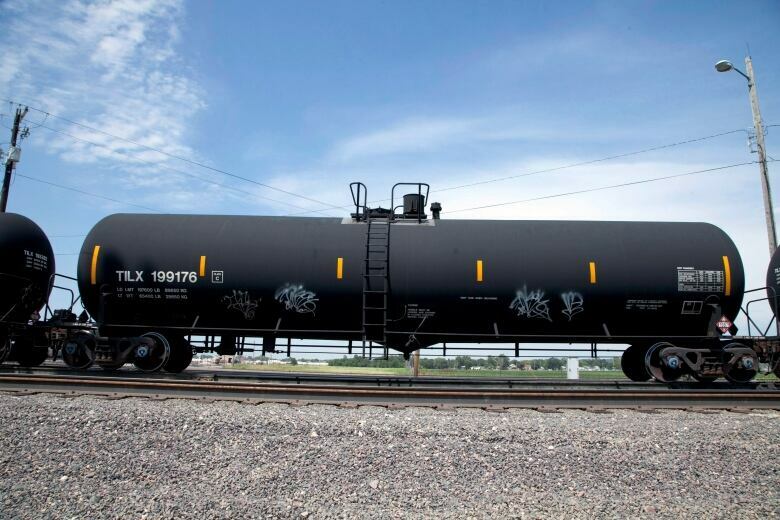 Older DOT-111 cars of the type used in the Lac Mégantic train already have been replaced in Canada by CPC-1232 cars for moving crude oil — but even these cars must be completely phased out by May 1, 2025 for the transport of flammable liquids, according to the TSB. They're to be replaced with TC-117 cars with thicker steel walls, or with retrofits that meet the same standard. Some environmentalists say that, despite the explosion risk, crude-by-rail actually might be safer for the environment than pipelines because bitumen in train cars is not diluted to make it flow more easily. Analysts say diluted bitumen, or 'dilbit', does more damage to the environment when spilled and is harder to clean up.